That morning cup of coffee does so much to make your world brighter, wouldn't you agree? However, when was the last time you did something nice for your coffeemaker in return? 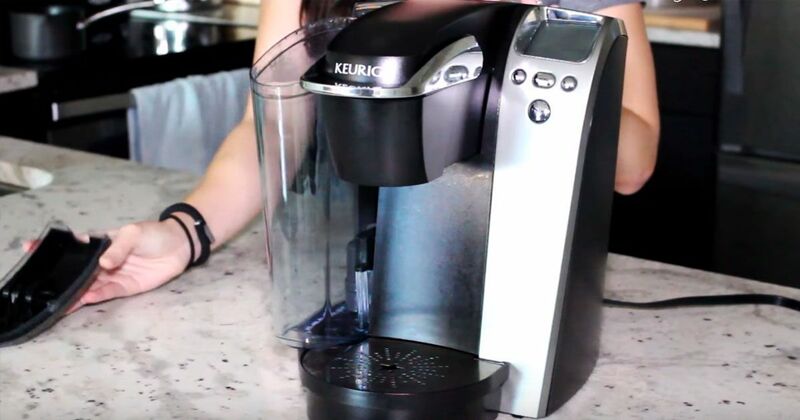 "Clean My Space" lifestyle guide Melissa Maker uses her YouTube channel to show you how to clean the popular Keurig coffeemaker in order to keep it sparkling and producing great-tasting coffee. "Regardless of what kind (of coffeemaker) you use, it's important to clean it because they get used day after day, and we need them to last us a long time and keep our beverages tasting great," Maker said before she begins the cleaning process. She notes that those who own a dishwasher will have an easier time, as many of the Keurig parts are dishwasher safe. After running the reservoir, drip tray and drip tray cover, K-Cup holder and funnel through the dishwasher, Maker uses a toothbrush, microfiber cloth and all-purpose cleaner to clean interior and exterior grime. She then runs half a reservoir of white vinegar through brew cycles until empty to descale the machine of chemical deposits. Maker is not the only believer in the Keurig white vinegar descale. Donata White, a beauty, fashion, fitness and lifestyle adviser, offers similar advice on her YouTube channel. "You're going to want to do this once every three months or so to keep your coffee fresh, tasty and healthy," White advises. Keurig dominates 61 percent of the North American single-serve coffee machine market, meaning there are a lot of dirty coffee machines waiting for this tip. Know someone who's Keurig needs a good cleaning? Pass this along!